Fried okra coated with a mix of spices and drizzled with lemon juice. 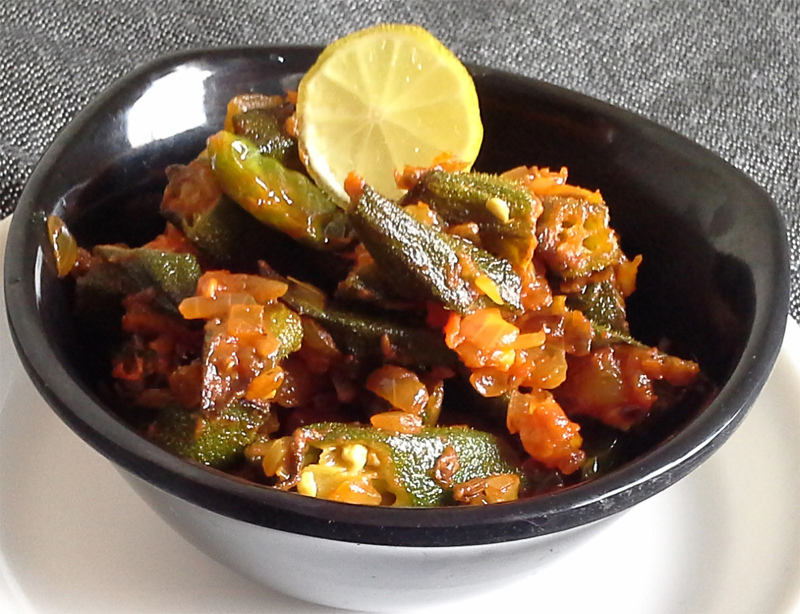 Okra is quite popular in India. Indians have a variety of dishes with this single vegetable. 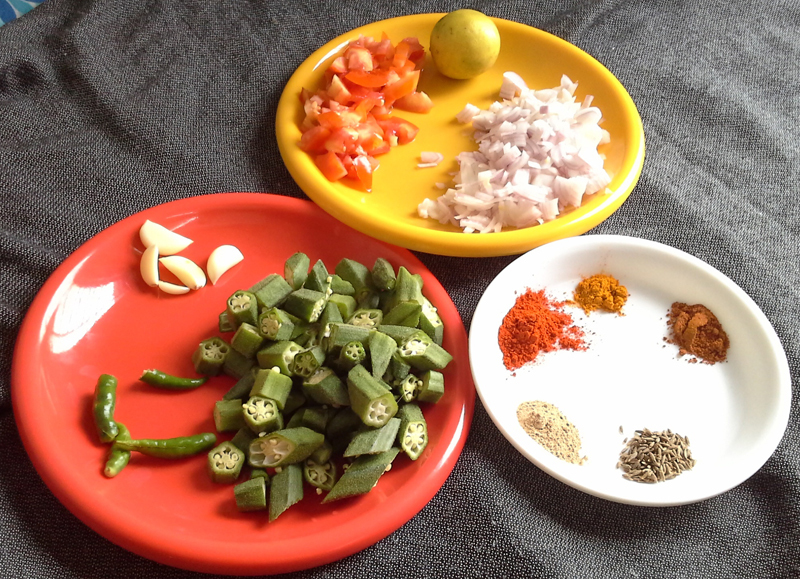 All parts of India have their very own okra recipe. This recipe is a Punjabi recipe which uses spices, onion and tomato as a base for the recipe. In a wok heat 1 tbsp oil ad fry the okra in batches till they are dark green in color and cooked through. Remove and keep aside. Add the remaining oil. Add the chopped garlic. Sauté for a minute. To this add the cumin seeds. Sauté for a minute and add the chopped onions. Fry till they are translucent. Add the tomatoes along with red chili powder, turmeric powder, dry mango powder, green chili and garam masala powder. Add salt to taste and cook till the tomatoes are soft and it starts separating oil. This will take about 5-6 minutes. Serve it hot with jeera rice or Phulkas.